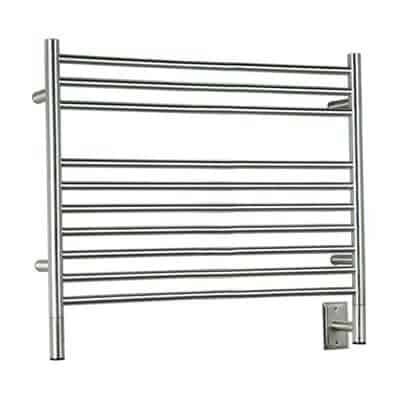 We received these Amba towel warmers for review. All opinions are entirely my own. This series looks at ways you can enjoy that “luxury hotel experience” right in your own home. Today we’re focusing on towel warmers. The great thing about towel warmers is they not only provide that luxury experience but also serve a ton of practical everyday uses (I’ll demonstrate several). In researching the highest quality towel warmers on the market, we chose Amba. 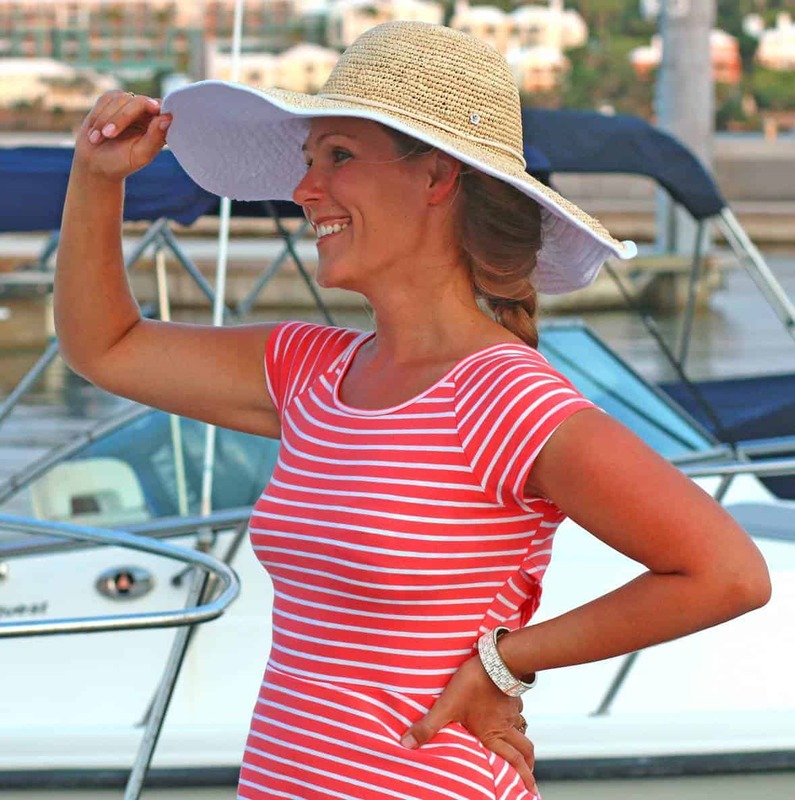 Not only are they exceptionally high quality in construction and come with great warranties, they’re also sleek and stylish and come in a huge selection of styles and sizes. We chose two for our bathrooms, the Jeeves L and Jeeves E models. They’re both identical in function and features but the L model is shorter and wider, the E model is narrower and taller. We chose them based on the dimensions of our bathrooms. The Jeeves models come in either straight or curved and several finish options. We chose the straight models in brushed stainless steel for a more contemporary look. It comes with a 10 year warranty on the construction of the unit and a 2 year warranty on the heating element which can be replaced. It has a classic towel bar design featuring liquid-filled round bars. These electric models are made in South Africa from locally sourced, 100% recyclable stainless steel. Comes in a variety of shapes and sizes including the option of straight or curved horizontal bars. Amba also offers custom sizes. All models are available in 4 finishes: polished and brushed stainless steel, oil rubbed bronze, and white. 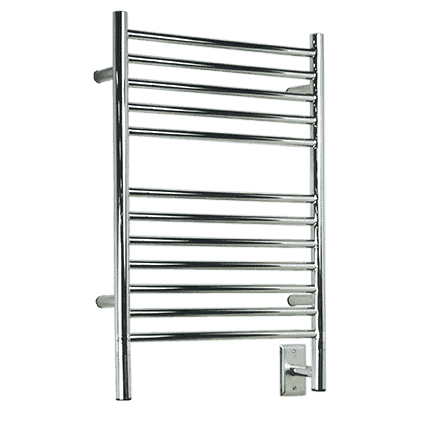 Like the majority of Amba’s towel warmers, the Jeeves line is made with high quality Italian heating technology. The Jeeves line has a glycol/water mixture and heating elements inside that heat up the bars. The Jeeves towel warmers are very energy efficient with built in thermostats and internal thermal cutouts for optimal energy consumption and safety. They way they work is that once the towel warmer reaches the ideal operating temperature it then cycles to maintain that temperature, which allows it to be left on continuously, only drawing power to maintain the ideal temperature range. There is also an internal safety cutout that will shut off the unit if for any reason it overheated. All of Amba’s towel warmers are UL and ETL certified for safety and performance. The Jeeves line comes with the option of either a basic on/off pilot switch or a 7 day/24 hour programmable hardwired timer, which is what we chose. The Jeeves line also has a couple of handy accessories you can get for the towel warmers. Like the towel warmers themselves, everything is made of extremely solid construction. One of the accessories is a bath robe hanger which conveniently allows you to hang up your bathrobes right next to the towels where they can also benefit from some of the radiant heat. The other is a shelf bar that can be used to store extra towels. It can also serve many more functions, which I’ll get to shortly. Were were originally going to have an electrician install our towel warmers for us (which is what’s recommended) but with all the experience we’ve been acquiring from our DIY guesthouse remodel (Todd learned how to do all of the wiring work himself), Todd tackled it himself and it only took him less than 2 hours from start to finish. He did a flawless job. The towel warmers themselves are fully assembled and the only thing requiring any actual assembly is the optional shelf rack. Also made of the highest quality materials, the shelf rack comes with assembly instructions but it’s extremely easy to do and takes less than 5 minutes. Before long our towel warmers were up and functioning. We couldn’t wait to try them out! Living in the Pacific Northwest it’s a constant battle dealing with towels not fully drying because of the high moisture in the air. And that equates to a mildewy smell that’s nearly impossible to get rid of. I know people who wash and dry their towels after every use and that’s just a crazy amount of energy consumption. Plus it puts a lot of wear and tear on the towels. We love being able to set the timers on our towel warmers so they can gently dry after each while lengthening the longevity of the towels. 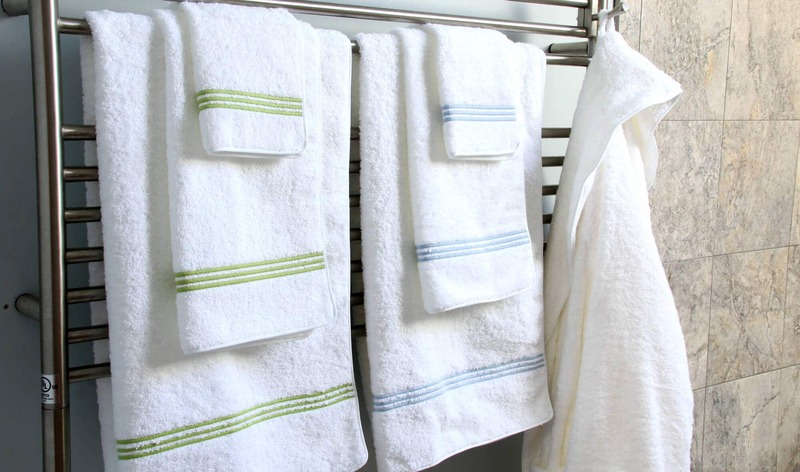 Plus, they help reduce laundry loads and water consumption because the towels won’t need to be washed as frequently. And of course it’s wonderful to have a nice and warm towel waiting for you as soon as you step out of the bath or shower. You can program the timer to begin heating up whenever you want and then turn off at a specified time. That way you can have nice warm towels waiting for you in the morning after you shower and then the towel warmer can dry your towels before it shuts back off again. In Europe to conserve energy many people use towel warmers to dry their clothing instead of throwing them in the dryer. It not only conserves energy but it’s also much gentler on your clothing and makes them last much longer. We regularly dry our jeans on our towel warmer (they maintain their color much longer that way than drying them in the dryer) and my husband does the same with his dress shirts. Also, towel warmers are the perfect way to dry delicate clothing. An added bonus of using a towel warmer to dry clothing is that it allows you to hang your clothing while drying it to un-wrinkle them. Laundry rooms are also a great place to have a towel warmer for the convenience of gently drying clothes while using very little energy. Amba even offers an expansive collection of towel warmers than can double as space heaters. The can be used practically anywhere including mud rooms, saunas, spas, pool houses, kitchens, garages, basements, on boats or in any room that needs additional heat. For example, in a finished basement where dropping the ceiling for adding central heating isn’t possible or too costly, a towel warmer can act as a space heater. Though still primarily seen as a luxury item here in the U.S., towel warmers are commonly found in many homes across western Europe. That’s because there they are largely used as practical household appliances for many of the purposes I listed above. With their variety of practical uses, their sleek appearance and the element of luxury they add to any bathroom, towel warmers make a perfect gift idea. 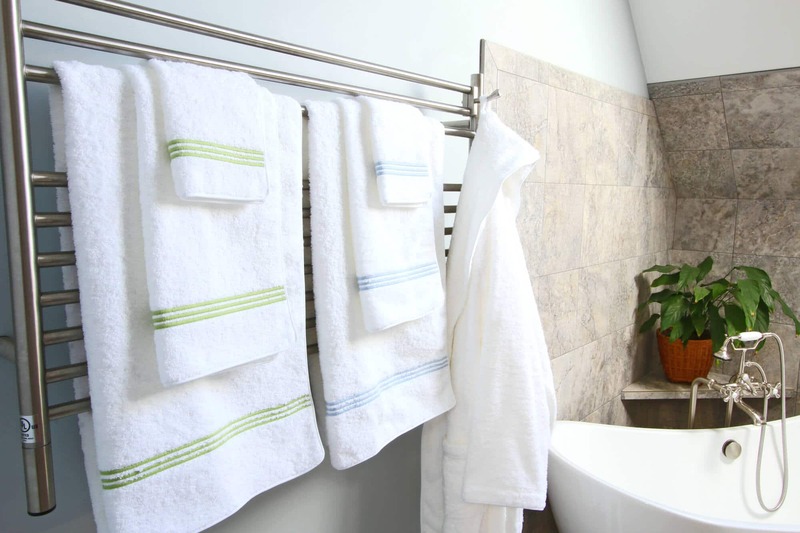 Bottom line: We absolutely love our Amba towel warmers! Not only because they provide that “luxury hotel experience” right in your own home and make your bathroom look upscale, but also because they serve a ton of practical everyday uses. 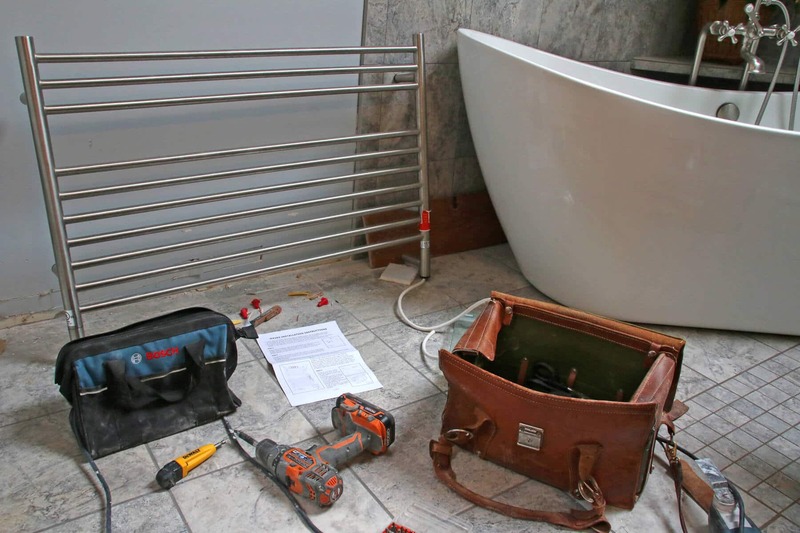 And with the quality of their construction, we look forward to using our towel warmers for many years to come. For more information about their products, visit Amba’s website. You can find Amba towel warmers in select stores throughout the U.S. and Canada. Here is their store locator to find your nearest store. After researching the best towel warmers on the market we reached out to Amba who provided us with our towel warmers for review without any obligation to write a positive review. I only promote products and services that we personally use and trust. As always all opinions are entirely my own. Towel warmers always seem like a luxury that isn’t really accessible for the average person, but you make them seem so reasonable and easy to install! How I would love to grab a warm towel after a shower in the wintertime. I really like all of the other uses for these towel warmers. Great ideas! Thanks, Kirsten, and yes, they’re terrific for a variety of purposes! Unless you’re handy at doing electrical work I’d definitely recommend getting an electrician to install them just to be safe and ensure they’re set up correctly. Well that sounds rather nice to have! Their versatile uses was the main selling point for me, Ashley. I’m from Germany where these are practically considered the norm for many home bathrooms. They’re so terrific to have, both from a luxury and a practical standpoint! We’re getting ready to remodel our bathroom in the near future and a towel warmers is a must have in my opinion! Love them! Totally, Lauren, you’re going to love them! We’re super impressed with Amba’s build quality and they just look so darn awesome! My husband and I have been thinking of getting these for years! Now I just might have to. You totally should, Carolyn, you’ll never look back! Ohhh man I would love to have these! Amba makes such a huge variety of sizes, styles and finishes, Des – there’s truly something for everyone! We were spoiled by having towel warmers when we lived in Germany. They are a must in the house we finally buy/retire to!! This sounds so delightful and cozy! Ohhhh, it is, Stephanie, it is! I first saw towel warmers over in Europe almost 17 years ago and wished we could have them here in the states! This looks easy to install and no more just a luxury in a fancy hotel! Exactly, Brenda, why wait to enjoy them just during the occasional luxury hotel splurge? Invest in one now and enjoy it every day for years to come! This is something that never even crossed my mind, but it sure would be nice during a Michigan winter! Hi Erin! They’ve been “in” in Europe for years. The U.S. is just late in the game (as with most things ;) As awesome and versatile as they are they’re starting to catch up though. OMG! i just love this…and can imagine how wonderful it must be. We LOVE them. It’s one of those things where once you have one you can’t imagine being without – they’re awesome! I am saving this for when we re-do our bathroom! Love it! Awesome, Lauren! The folks at Amba are friendly and ready to assist with any questions you have. When the time comes to choose one you’ll be amazed at how vast their selection is. And you’re going to love how something as simple as a towel warmer will transform the appearance of your bathroom and add that nice “upscale” dimension to it. LOVE towel warmers! We had them in the apartment we rented during our trip to Europe. So awesome! Totally going to show this to my Hubby and get on this project! Towel warmers are so amazing, I want one in my home too! They’re awesome, Laura, we love them! Seems fancy and I think I need one! I always wondered why towel warmers didn’t catch on in the United States. They are so practical and I get so excited to travel just so I can use them! This is so wonderful. Thanks for sharing this info with us! It takes the U.S. a while to catch up with most things, Justine, so I’m not surprised ;) I think most people who have had a chance to really experience them would be strongly convinced to get one. I need these in my bathroom! There is nothing better than wrapping yourself in a warm towel after a shower, particularly on a cold day. And what a great idea to use them for drying shoes, too. I couldn’t agree more, we love ’em! Good post! Towel Warmers would be amazing! SO, sold! I can just imagine being wrapped in a warm towel straight from a shower! It’s heaven on earth, Laura! This is something I’ve always wanted! That and heated floors. Heck, I should just make our bathroom a sauna. Heated floors are so wonderful, Katerina! 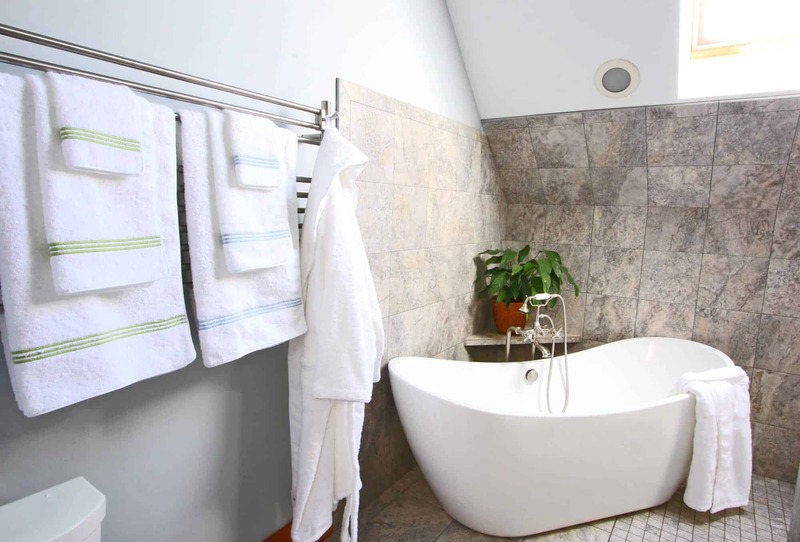 I am planning my master bath renovation and I absolutely need towel warmers in there! I never thought about using them to dry towels AFTER using them … what a great idea. That was one of the biggest selling points for me, Erin, ensuring thoroughly dried and plush towels after every use. You’ll absolutely LOVE these – good luck with your renovation! Yes, we saw these practically everywhere when we were traveling in Germany! I’ve been nagging my husband ever since to get one. I showed him your post and I think he’s finally convinced (yay!). He didn’t realize it was also so practical and he loves the idea of being able to dry his dress shirts on it :) I wouldn’t have had a clue where to start in terms of brands so we really appreciate this thorough review and your recommendation, it’s much appreciated, thank you! That’s awesome, Cori, once your husband has experienced these he’ll be equally happy that you got them! I did not even know such a thing existed! So luxurious I love it! Oh my word, I need this! When I was in florida the spa had a robe warmer and it was the best thing ever. I’d love to have one in our bathroom!